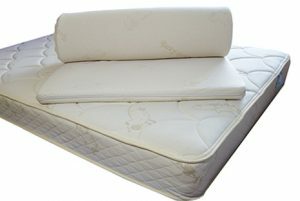 Organic kids mattresses are available in natural latex, organic innerspring and innerspring/latex mix. Choose profile heights from four inches to nine inches. 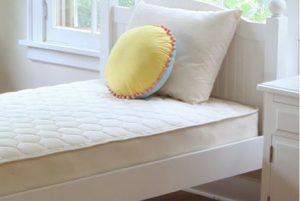 We have great options for natural and organic kid’s mattresses when transitioning your child out of his or her crib. The Organic Cozy Nest micro coil mattress by TFS Honest Sleep is made with 100% certified organic materials. It starts with a core of 4″ micro coils, which are surrounded by organic cotton batting, organic virgin wool, and all encased in organic cotton fabric. This mattress finishes at approximately 9″, is medium-firm, breathable, cozy, flippable and lightweight. The Organic Cozy Nest Mattress provides you with superior comfort in any sleeping environment. The 733 Micro Coil core provides optimum pressure relieving support while reducing motion transfer. Available with a Organic Cotton 7 oz. Twill or a Organic Cotton 12 oz. Jacquard Cover. Made with no petrochemicals or flame retardants! 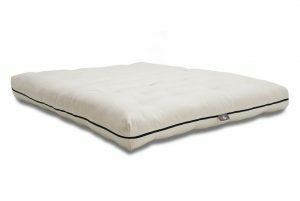 $698.00 – $878.00 An organic micro-coil mattress with organic cotton and organic wool at unbeatable prices! A kids mattress made by one of our favorite luxury organic mattress manufacturers, Green Sleep! A medium/firm mattress constructed with 6 inches of 100% natural rubber. This beautiful mattress is encased in a heavy weight organic cotton knit fabric that is channel quilted to Green Sleep’s signature Texel wool. All the luxury and purity of Green Sleep at a fraction of the cost. $1,199.00 – $1,899.00 All the luxury of Green Sleep, yet remarkably affordable! A firm natural rubber mattress with 6 inches of natural latex made especially for kids. This futon features organic cotton surrounded by a layer of organic wool that provides moisture, mildew and dust mite resistance as well as regulating temperature. The cotton and wool are encased in a organic cotton twill. This futon is latex free for latex sensitive customers. 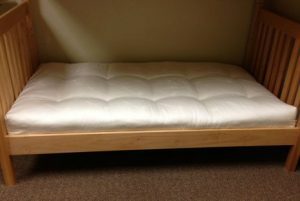 $999.00 – $1,945.00 An organic futon featuring a cotton core surrounded by wool and encased in a cotton twill. This futon is latex free. The Sleepy Sheep Sublime Futon is made with an organic cotton cover and layers of natural wool, and either natural or organic latex. 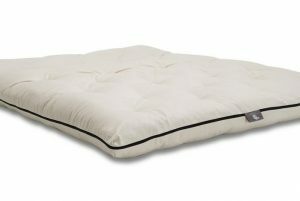 $885.00 – $2,300.00 Cotton and wool futon mattress with a latex core. Choose natural or organic latex. The Little Pocket Spring Mattress by Suite Sleep is made with support and longevity in mind. 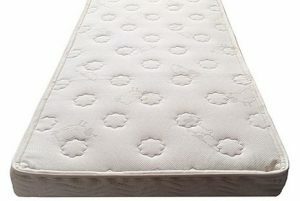 This mattress has an 8 inch profile with the firmness and support kids need but the luxury of a pocket coil. It is built with 6 inch, individually wrapped pocket coil units and topped with an inch of soft, 100% natural Dunlop latex. 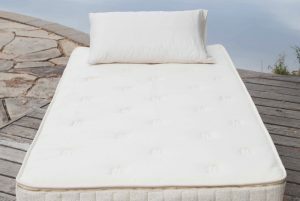 The cover is GOTS certified organic cotton knit fabric quilted to all-natural Eco Wool and an additional half inch of soft natural Dunlop latex for added comfort. The Little Pocket Spring Mattress is an adult quality mattress made just for kids! 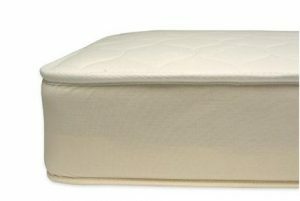 $1,099.00 – $2,099.00 An economical pocket spring mattress made for children. $749.00 – $1,498.00 This 2 in 1 innerspring mattress combines a waterproof side which can be flipped over to a quilted side when your child gets older. The Naturepedic Quilted Organic Cotton Deluxe Mattress is a kid’s innerspring mattress with a luxurious quilted organic cotton finish on one or both sides providing a natural, healthy sleep environment for your child. 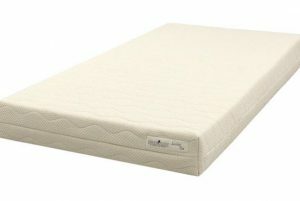 $649.00 – $2,198.00 This kid's innerspring mattress is available with an organic cotton quilted finish on one or both sides. Available in twin to queen sizes. Latex mattresses have exceptional comfort and longevity, especially when paired with an organic topper as your child grows. With four inch and six inch options, these lower profile natural latex mattresses can also work well with bunk beds and some trundle beds. 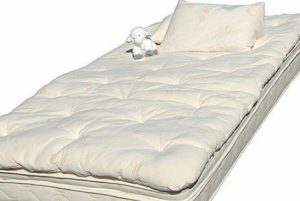 The Little Lamb natural latex mattress feature a single piece of 6 inch latex in Medium/Firm firmness. The Freefrom Simple and the Savvy Rest Tranquility has two pieces of 3 inch latex which are customizable for firmness. 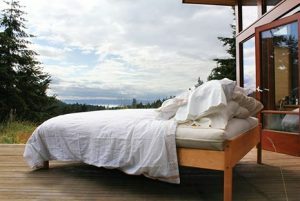 The Earthspring Mattress by Savvy Rest and the Little Lamb Pocket Spring Mattress has an innerspring core topped with latex and covered with organic cotton and wool. The Organic Cozy Nest, the Little Lamb Little Pocket Spring mattress, and the Naturepedic Verse are made with pocket coils and surrounded by organic cotton and wool. 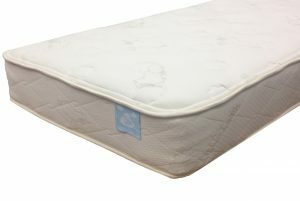 The Naturepedic 2 in 1 cotton ultra and the Naturepedic Quilted Organic Cotton Deluxe kids mattresses are both latex free and are made from innerspring units covered in organic cotton and PLA. Sleepy Sheep Organics Sublime is a firm futon-style mattress. It has a latex core surrounded by layers of organic cotton and pure virgin wool. The Soaring Heart futon is latex free and made from organic cotton and wool. Add an organic mattress topper to add layer of comfort to your child’s mattress. We have both natural wool and natural latex options.